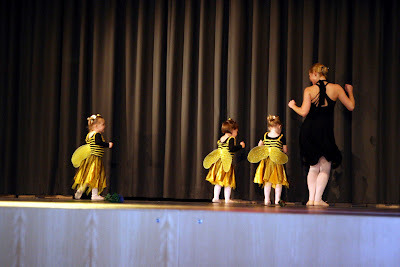 Ashlyn's first ballet recital was two weeks ago. With my technical difficulties with my video camera, I decided to go ahead and share pictures. Video may follow sometime in the future. 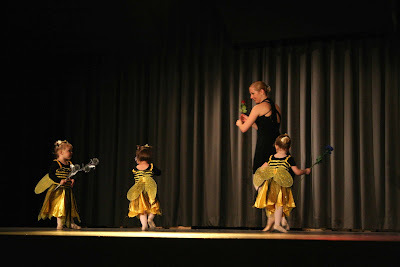 Of course, they were the youngest ballerinas to take the stage that evening. 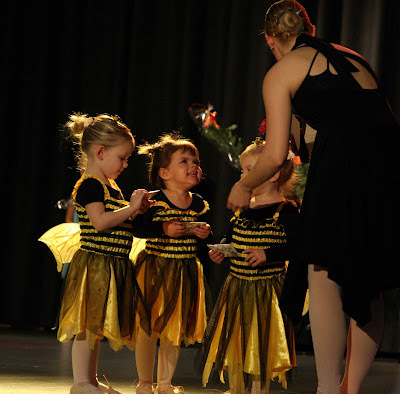 So, while they may not have been the most graceful, they were certainly the cutest, and got the most laughs. Ashlyn was really so proud of herself, but didn't even seem to be aware of the audience. She certainly didn't have stage fright! 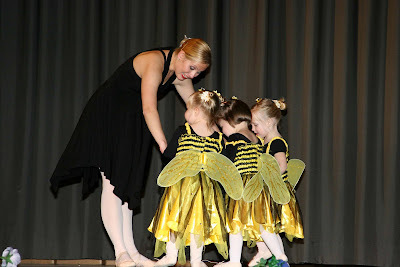 Unfortunately, her ballet teacher, Ms. Jodi, moved to DC just a few days after the recital. Ashlyn will probably have to wait until we move to our next home to take classes again. Does her school offer ballet? Liv's taking it a school one afternoon/wk. Though, I haven't heard a word about a recital. I wonder if they're will be one...I'll have to ask. Oh, beyond sweet! I'm gearing myself up to sign Beth up for...something. She's getting so energetic and (relatively) coordinated...I just don't know what to pick. 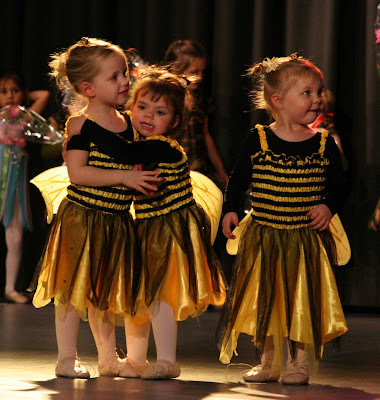 These pictures have me thinking ballet! She's an angel, Angie. Love it!! Great, great photos. What setting do you have it on? I am sure manual but what did you do?? Do you get a new lens? How cute! I love the picture where one of the other girls is hugging Ashlyn. I agree with everyone else. The pics are priceless. I can't wait to see the video. The lighting and colors in the photo of your neighbors daughter hugging Ashlyn is ADORABLE!!!! and of course so is Ashlyn!! I also want to know what type of lens/camera you have and what setting it was on. 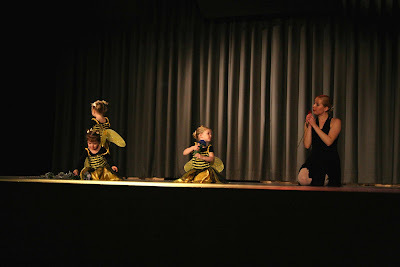 Great she didn't have stage fright - it looks like they all had a lot of fun!